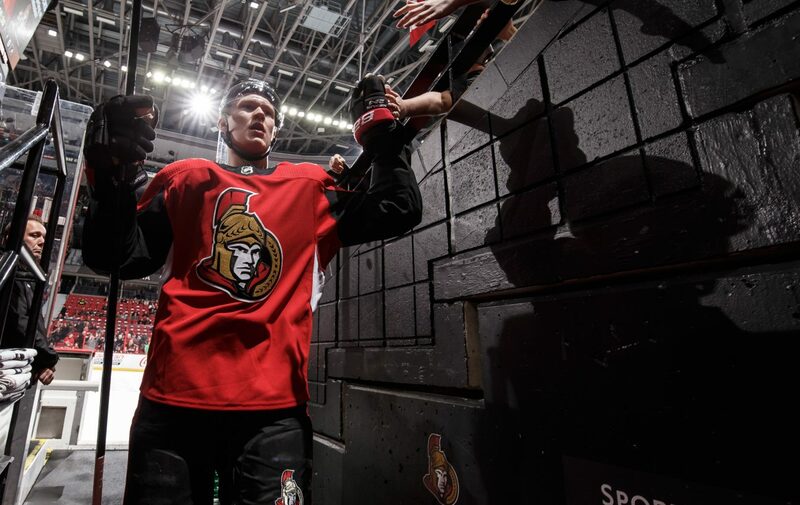 Brady Tkachuk emerging as NHL's best net-front player - The Point Data-driven hockey storytelling that gets right to the point. Just 14 games into his NHL career, Brady Tkachuk is already establishing himself as one of, if not the best net-front player in the NHL. 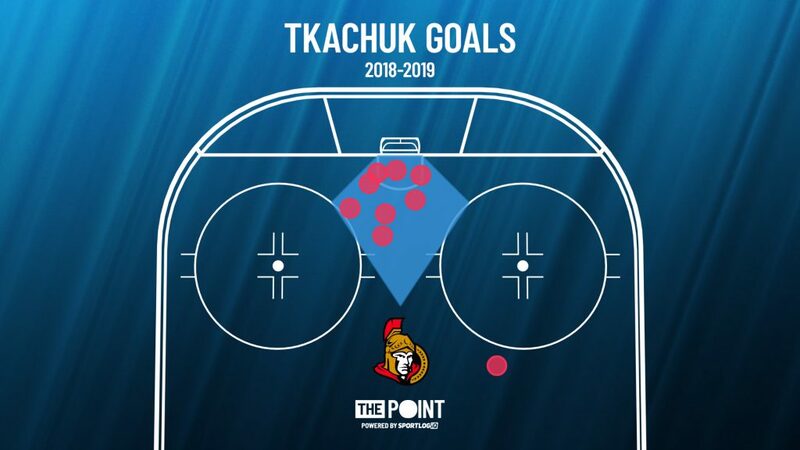 If the Senators have the puck in the offensive zone, Tkachuk will be in front of the net. Even-strength, power play it doesn’t matter, he’ll be there. Tkachuk has 9 goals this season and 8 of them have come from the most high-danger scoring area on the ice, the inner slot. Tkachuk’s scored 89% of his goals from the inner slot, significantly more than the 54% of goals that come from forwards, on average, league-wide. He’s having success because he understands how to give himself body position over the defender and he has a knack for picking up rebounds. Most of all though he never gives up on a play. Tkachuk leads the league in inner slot shots per game and deflections per game. He finds ways to keep his stick free instead of getting tangled up in a net-front scrum and relying on his body to provide a screen. A good screen is always useful but if you can’t jump on the rebound afterward then you’re not giving yourself a chance to score. This goal is a perfect example. Tkachuk gives a good screen without getting tangled up with anyone, gets a tip on the point shot, then turns to find the rebound and bangs it home. If he lets himself get caught up in a battle there he wouldn’t get a stick on the shot nor would he have been able to easily turn around and pick up the rebound. Tkachuk is showing why he was drafted so high and looks like he’s going to be a nightmare for opposing teams to deal with, especially in front of the blue paint.